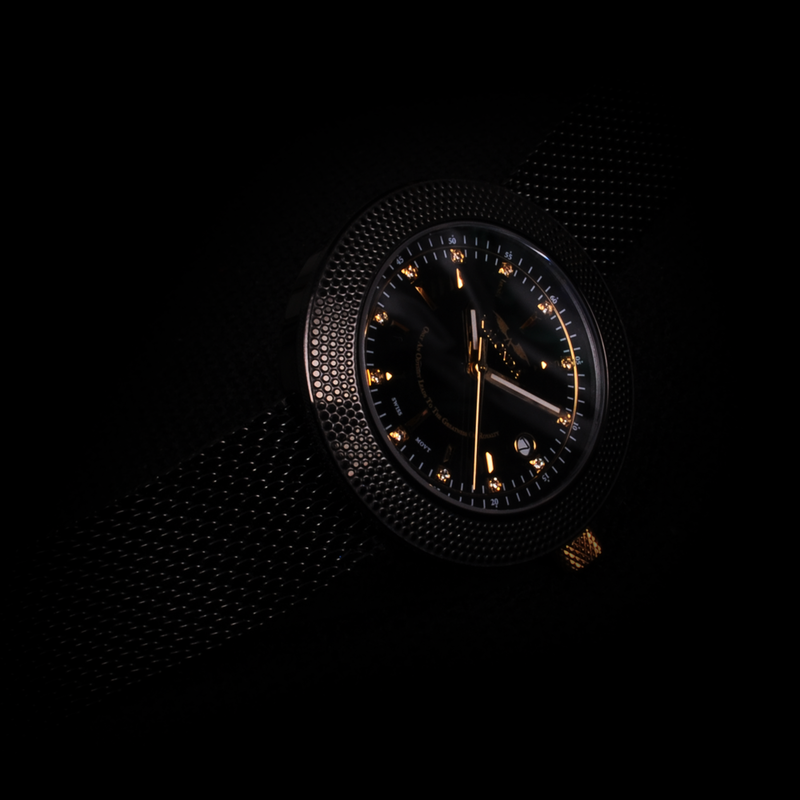 The Kalonda Royal Black watch fits the more mysterious of queens, she is discrete and prefers to go unnoted. But do not doubt her, as she can leave her world of silence and come out fiercely when needed, the queens authority is not a subject of discussion. The color black is mysterious, powerful and goes more unwitnessed in comparison to the other Royal colors. This black metal is not intended for all. Queens who wear black know what power is and leave their trail in a cloud of mystery. 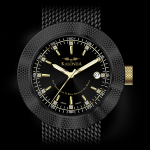 From the dial to the mesh band, detail and smart solutions are found everywhere on the Kalonda Royal Black for her. Notice how the mesh band is fluently and beautifully merged with the case. 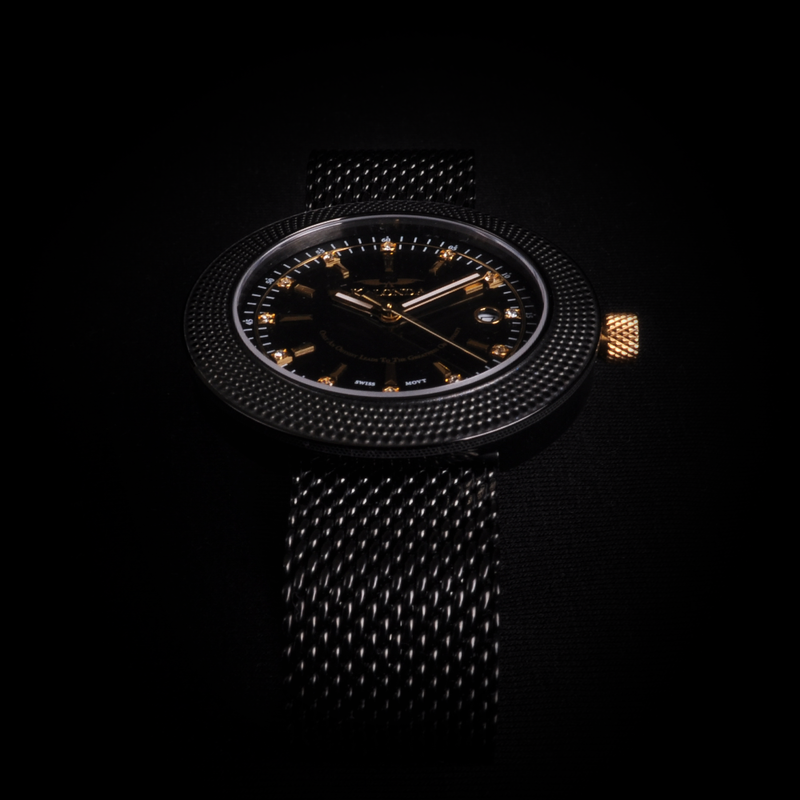 Created with Passion, Ambition and Dreams in mind, the Kalonda Royal Black watch is equipped with an array of new visual and non-visual features. The most important, non-visual feature is the new movement. 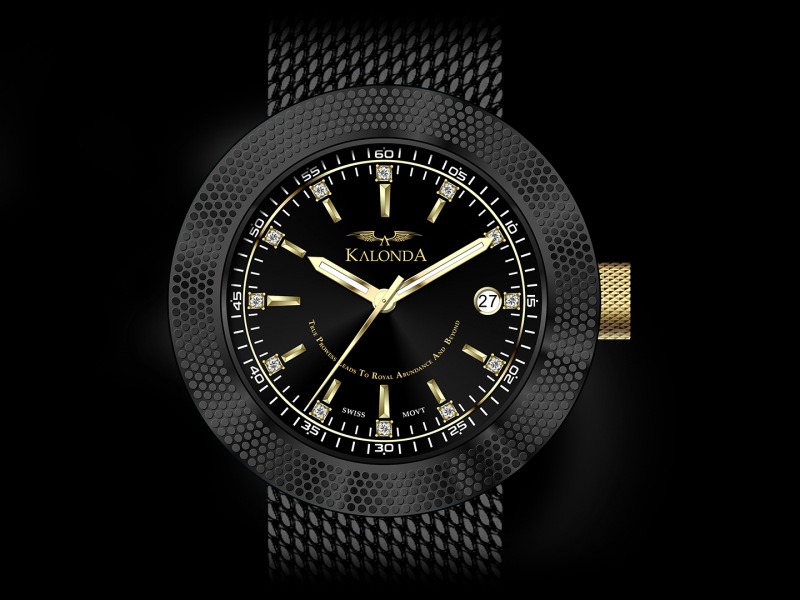 Every watch in the Kalonda Royalty Collection has its own unique quote. Prowess is a characteristic that only resides in few of us. Therefore, utilizing your prowess is important when you want to achieve your goals. The case material is made from surgical grade stainless steel. 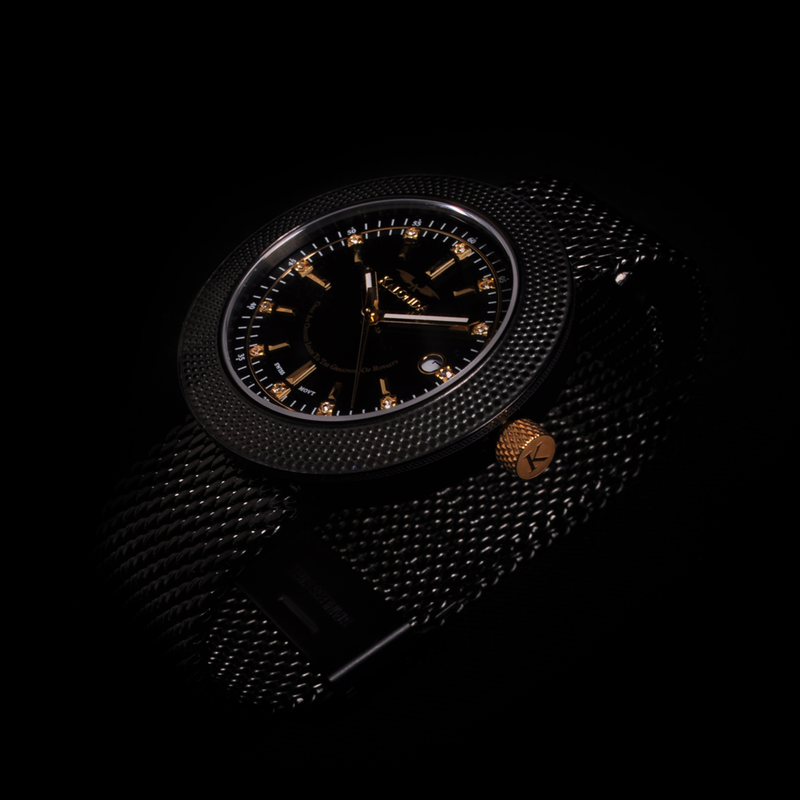 The diameter of the case is 38 MM with a case thickness of 8 MM. The case material is made from surgical grade stainless steel. The band size is 18 MM. The clasp is attached with a hook and needs to be pressed to lock. 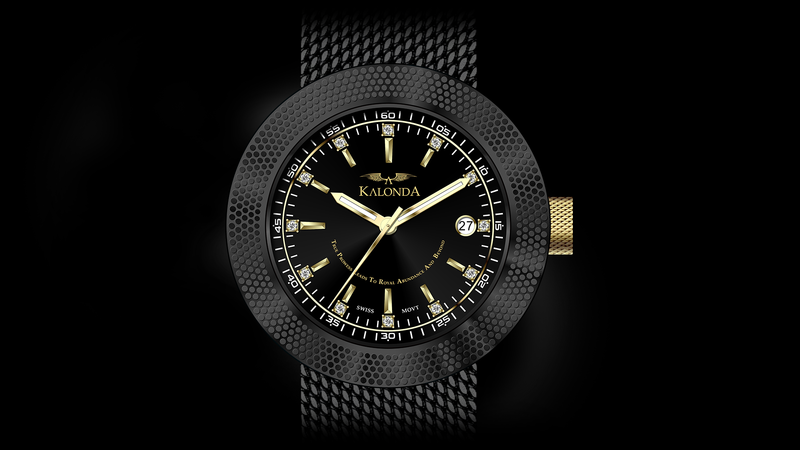 Kalonda uses a high quality Swiss Made Movement for very reliable and accurate time tracking. 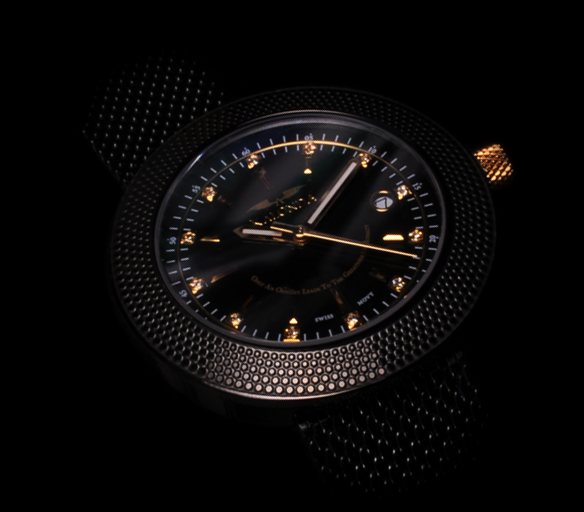 It is a Quartz Movement, which means it is driven by a battery.